I wanted to take a minute to introduce myself. 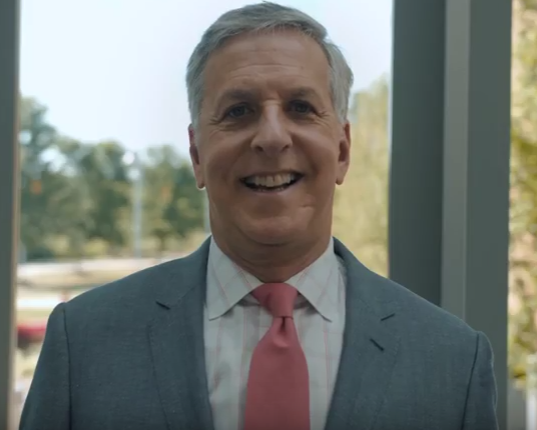 I’m Scott Levitan, and will be serving as the new President and CEO of the Research Triangle Foundation of North Carolina. Being given the chance to help shape the future of Research Triangle Park is a once in a lifetime opportunity, and I am honored to be here. RTP has a rich history of impacting dramatic change. Not just on the economic landscape of North Carolina, but through the many technological and medical innovations that have been born from companies located in the Park. It’s this history of human impact that drew me to the position, and something I look forward to continuing throughout my tenure. RTP owes its success to partnerships among its sponsoring universities, county and State government and the innovative companies that invest in the Triangle. Strengthening these relationships and delivering on the future promise of RTP are my focus. In my previous role with the Science + Technology Park at Johns Hopkins and the New East Baltimore Community, I learned the importance community plays in any new and transformative development. In Baltimore I was fortunate to be able to grow partnerships with Johns Hopkins, the City and most importantly – the neighborhood community served by the project. Without the support of these important players, the area would not have become the success it is today. It’s my goal to take the lessons I’ve learned over the years (sometimes the hard way) and apply them to RTP’s Park Center. The project is poised to take RTP forward into its next 60 years, and I can’t wait to get it going. It’s my hope that over these next few weeks and months I will meet as many of you as possible to understand your expectations for RTP and how I can help our team deliver. I’m looking forward to getting started and working together to make RTP, the Triangle region, and the State of North Carolina the best it can be.